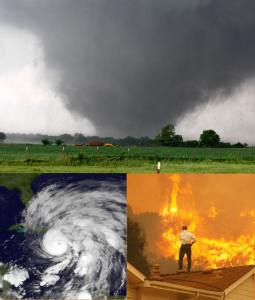 Natural disasters can leave hundreds, even thousands of people homeless. Natural disasters can devastate huge areas of land, leaving thousands of displaced, homeless people in their wake. In the midst of lost homes, lost possessions, and — worst of all — lost loved ones, people living in affected areas have to find a way to rebuild. Too often, they don’t have the luxury of a roof over their heads while they do that rebuilding. Our RVs travel to places in need all over the continental United States. In the wake of a natural disaster, Bless You Inc swings into action in the name and love of our savior, Jesus Christ. 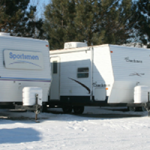 We purchase travel trailers and stock them with bedding, toiletries, food and water, and other necessities. We then drive them to the disaster-stricken area, and work with local churches and civic organizations to identify individuals and families left homeless by the disaster. We provide these people our stocked campers as transitional housing while they rebuild their homes and lives. Families can remain in the trailers for up to a year (or more, depending on the situation). Our partner churches and organizations help us keep the trailers stocked with supplies during their stay in the area. You can learn more about Bless You Inc on our About page. If you have questions or would like to make a donation, please contact us at the phone number or email listed on the right.